This adorable condo is just perfect! 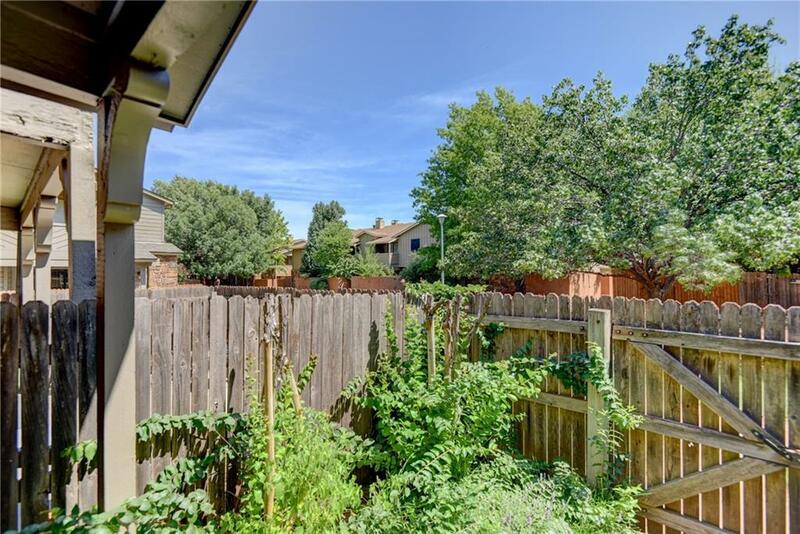 Featuring a gated entry to the complex for security, the home also features a private courtyard with a wood fence and private entrance looking over beautiful mature trees. 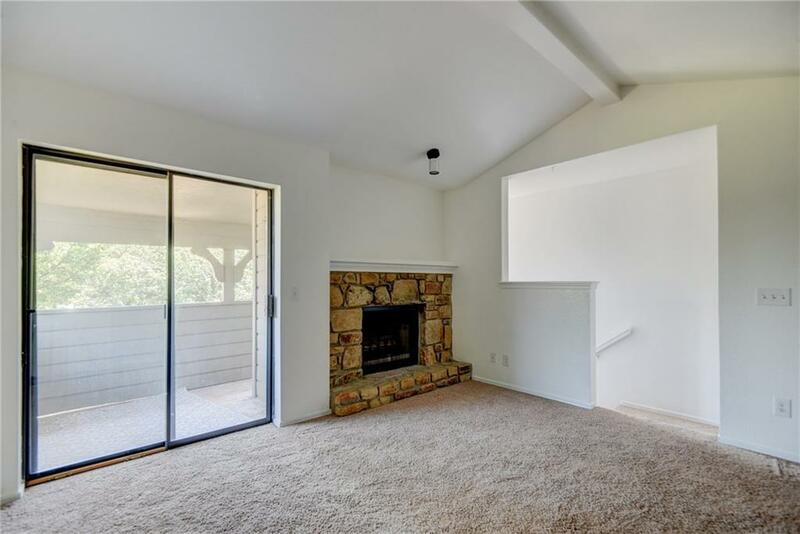 The living room features a cozy fireplace and wood mantle and high vaulted ceilings. 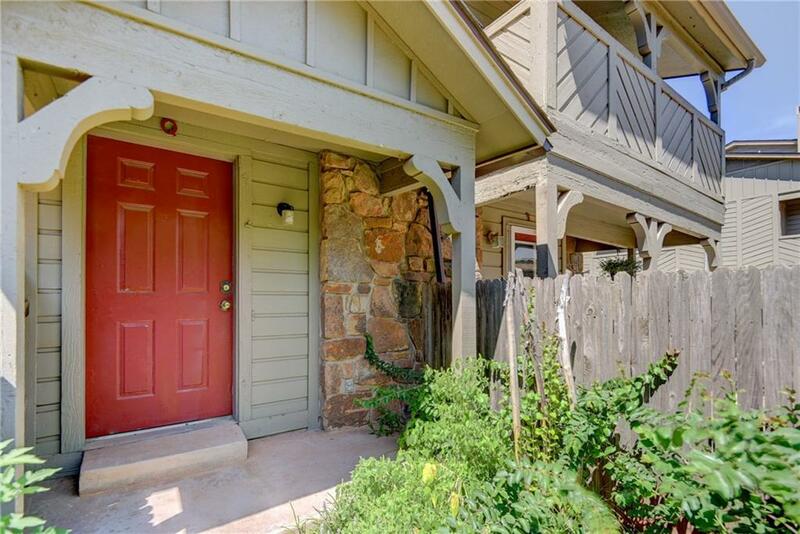 The unit is bright and boasts fresh painted woodwork, including charming teal cabinets in the kitchen and bath. The kitchen is open to the living and provides an island/breakfast bar, dishwasher, microwave, and inside laundry with stackable washer and dryer. 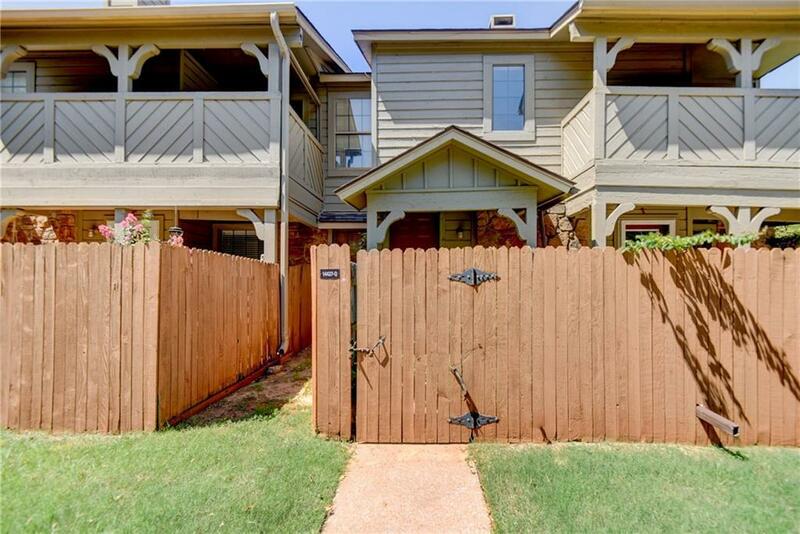 The master is large and features a newer ceiling fan and walk in closet. This home also boasts a covered private balcony adding even more living space and entertainment area. The complex even includes a community swimming pool and club house!